General Motors is recalling Chevrolet Cobalts (pictured here) and Pontiac G5s from 2005 to 2007 because of faulty ignition switches. General Motors announced a recall of about 780,000 vehicles in North America due to faulty ignition switches that can cause the engine to shut off unexpectedly and disable the airbags, which failed to deploy in crashes that killed six people. 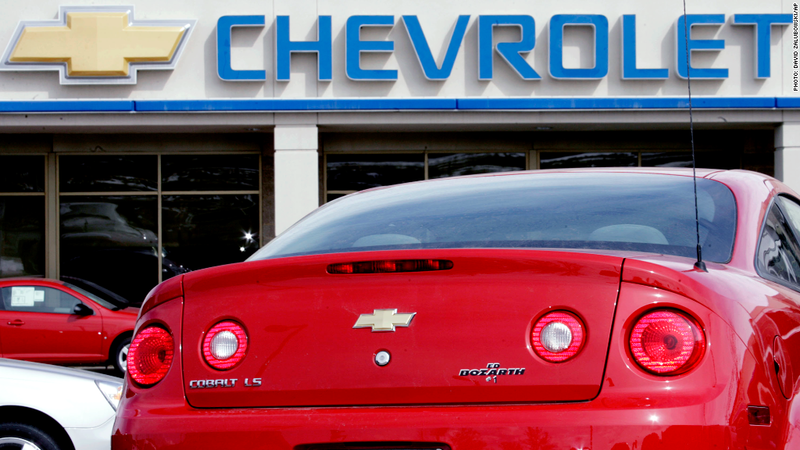 GM (GM) said Thursday that Chevrolet Cobalt and Pontiac G5 cars made between 2005 to 2007 are being recalled in the U.S., Canada and Mexico to replace the switches. In addition to turning off the engine unintentionally, the switch defect can also shut off the electrical components in the car that activate the airbags. There have been 22 crashes where the airbags did not deploy, according to GM, including five crashes that caused six front-seat fatalities. GM said that the switch tends to shut off accidentally when the car is driving off-road or experiencing "some other jarring event." The automaker added that all of the fatal crashes "occurred off road and at high speeds, where the probability of serious or fatal injuries was high regardless of airbag deployment. In addition, failure to wear seat belts and alcohol use were factors in some of these cases." The National Highway Traffic Safety Administration was not immediately available for comment.